1)PREP: Cleanse skin & apply NuFACE primer. 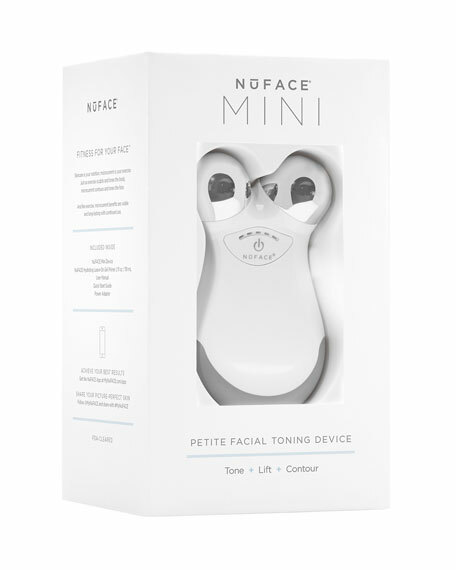 2)LIFT: Glide the NuFACE mini device over face as directed. 3)FINISH: Remove NuFACE primer with a damp cloth.